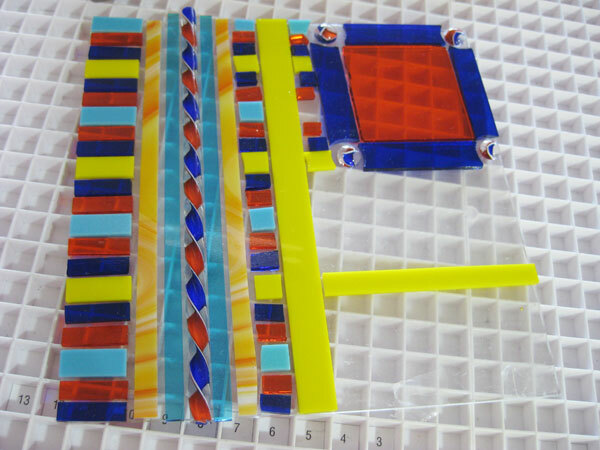 the amount of time it takes to finish a multi-step fused glass project. 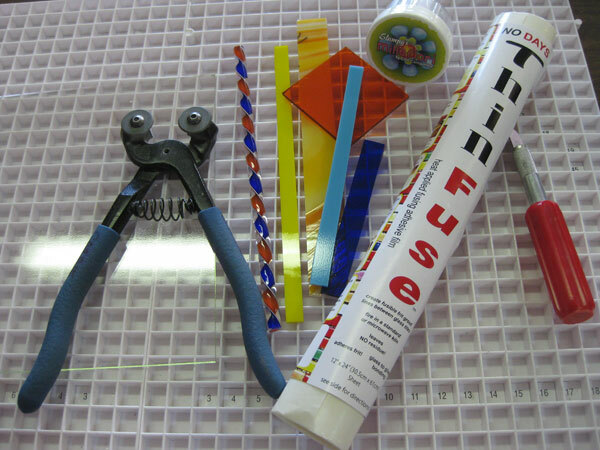 for creating quick & easy fused glass mosaics. 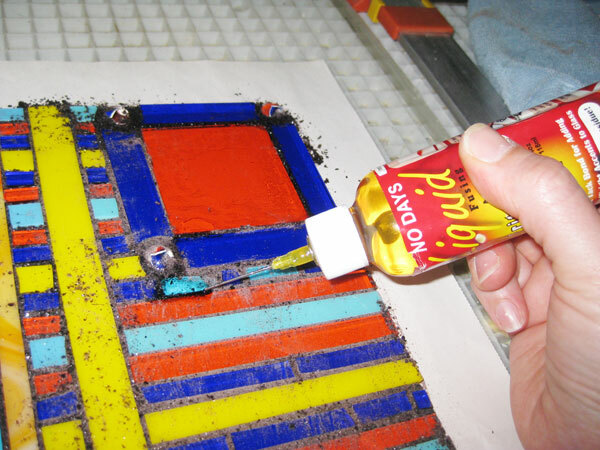 roll with the adhesive. 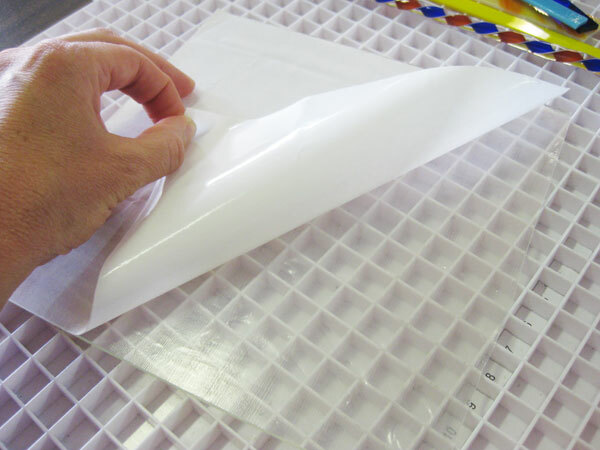 Use a razor or scissors to cut the adhesive around the edges of the glass and return the adhesive roll to the package. 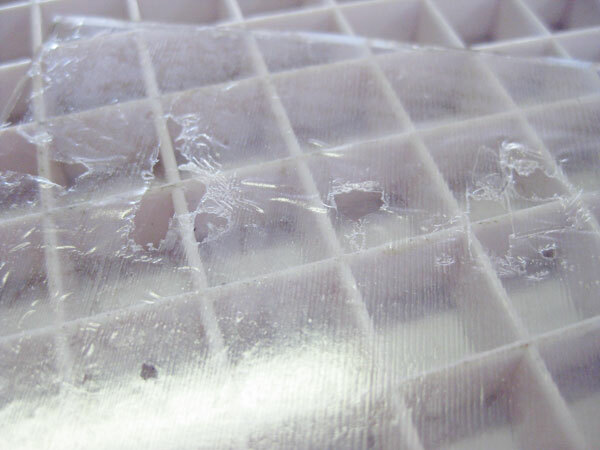 the adhesive can tear. 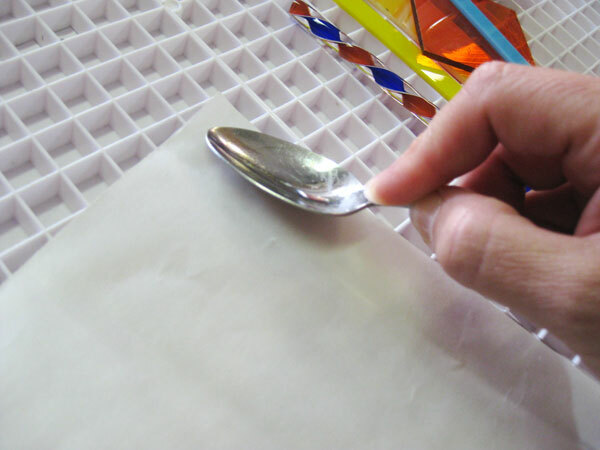 Instead, peel back across the glass. 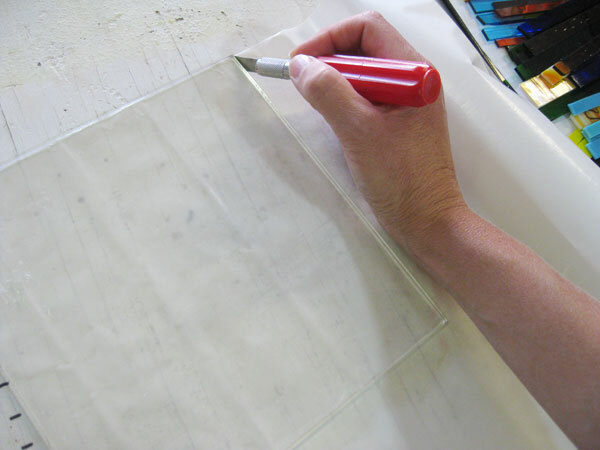 If you have a design that you’re working from, place the pattern underneath the clear glass base and place your cut glass design elements on top of the adhesive covered base layer. I didn’t begin with a design in mind. 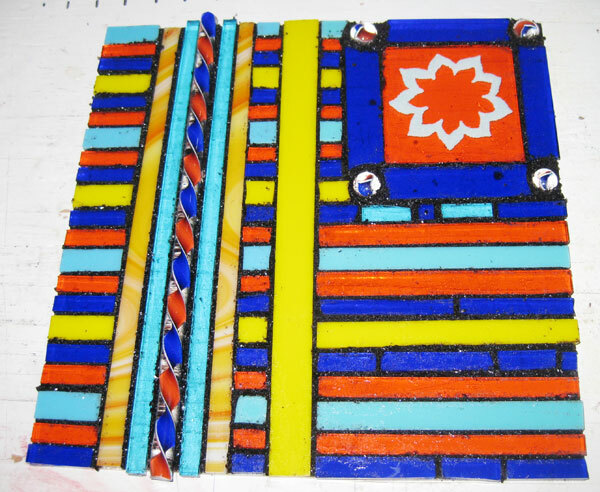 I knew I wanted to include the colorful fusing cane from Ryan Staub glass to add a bit of flair to my mosaic. 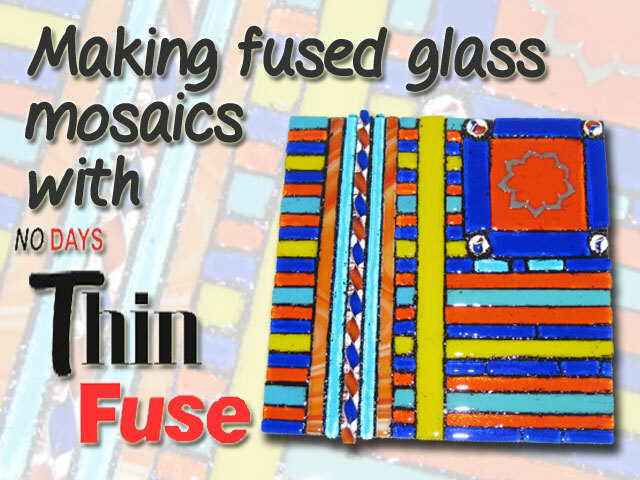 No Days ThinFuse isn’t sticky and won’t adhere to the glass until it is heat set, so you’re not committed to any design. 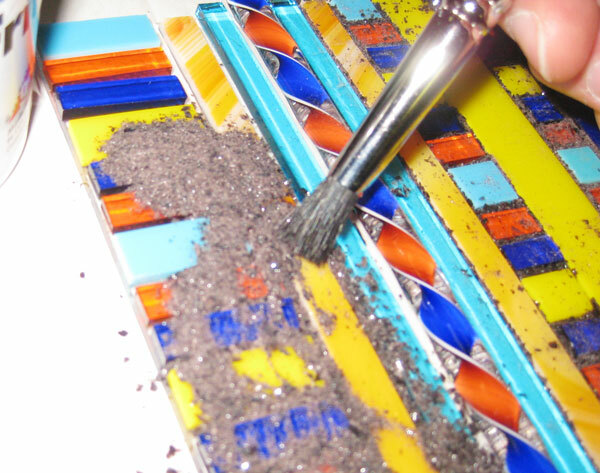 After heat setting the mosaic, you can still make changes to your design by re-heating and re-activating the adhesive, then removing or replacing pieces. 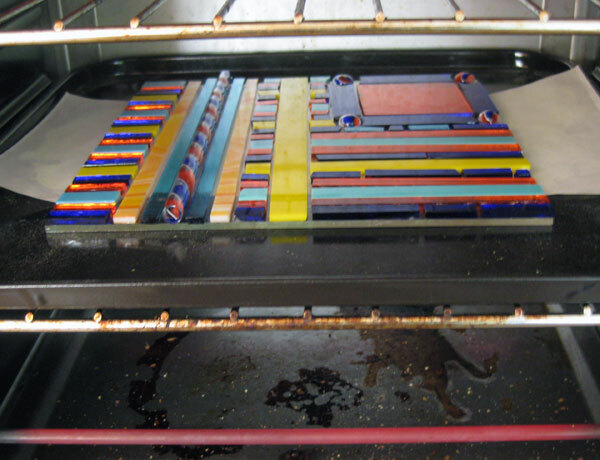 or conventional oven set to 200 degrees F (95 degrees C) for 10 minutes. 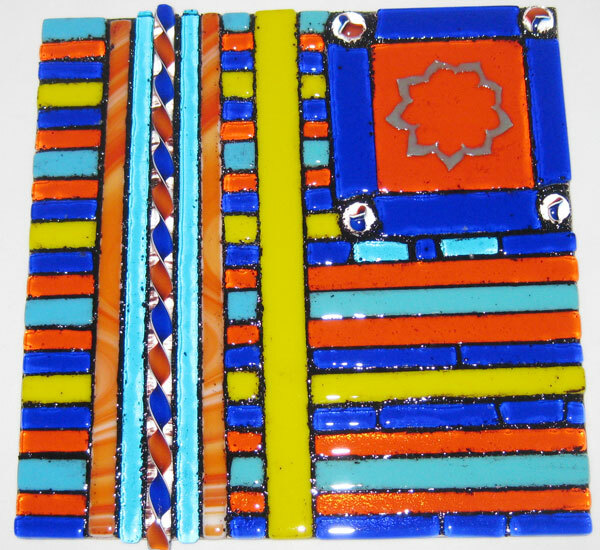 If using a kiln to heat set the adhesive, you may need to set the temperature higher (~ 300 degrees F / 150 degrees C) because the ceramic kiln shelf takes a bit longer to heat up. into place if they have moved or are not exactly where you want them. 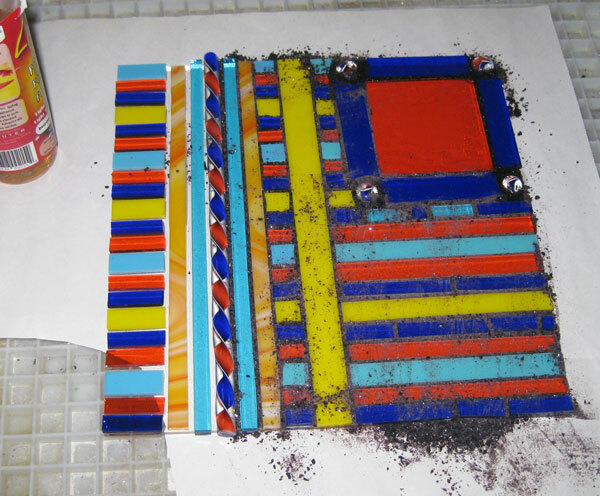 add additional elements before firing in the kiln. the piece. 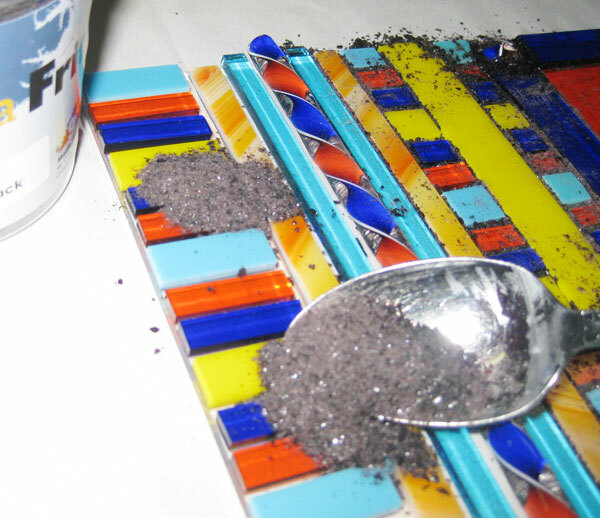 When you’ve finished grouting and sweeping off excess frit, you’re ready to transport your piece to the kiln to fire. and kiln being used to yield their desired results. Visit Streuter.com for more firing schedules. 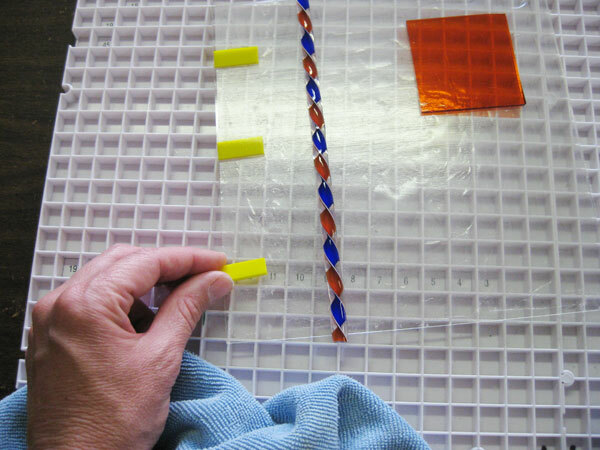 Visit our YouTube Channel for more tutorials. Visit our Facebook page or Pinterest boards and post your pictures for the world to see. We want to help you promote your work! Ever think about being a No Days Featured Artist?